To live a life with your family and loved ones can be considered a good life, but having a life with God in the center of your household is something better. As written in John 17:3, Jesus uttered, “This is eternal life, that they know you, the only true God, and Jesus Christ whom you have sent”. 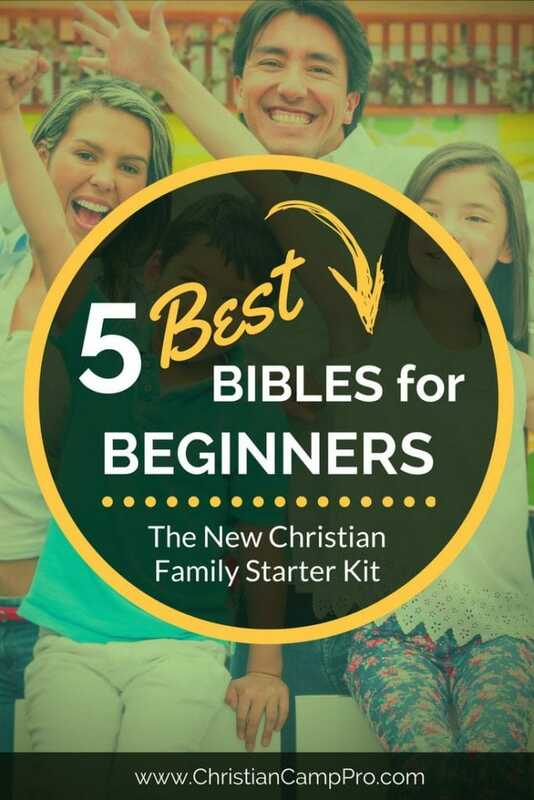 That’s why we’ve put together this new Christian family starters kit featuring the best Bibles for beginners. Blessed are we if in this life we get to know and enjoy Jesus Christ in our lives. Because with God, we will be able to experience the greatest love that no one can surpass. You and your family can reach that relationship with Jesus through the enjoyment of Bible reading, not only for the list of do’s and don’ts or to find instructions of how to live your life but most importantly, but to know more about Him and furthermore to be able to put Him in the center of your family. You’ll realize how the Bible points to Jesus. You’ll be more in awe of the gospel. You’ll build an eternally-significant habit. You’ll discover answers to some of your questions. You’ll know that not all questions need to be answered. You’ll gain a God-centred vision. You’ll see how God’s word is consistently relevant. It is written in Proverbs 5:1-2, “My son, pay attention to my wisdom; lend your ear to my understanding, that you may preserve discretion, and your lips may keep knowledge.” As the head of the family, the father must bear the knowledge that he will pass on to his kids and the strength that he shall share with his wife by a thorough reading of the bible. The NIV Bible for Men will help dads achieve that with the 260-weekday readings from pastors and leaders. Each reading begins with a short statement that introduces the topic designed to address a father’s challenges and expectations that connects to their personal experiences. For a beginner in faith, this Bible will let you dig deeper into what God wants to share with you. Another feature of the Bible is that it includes 2 methods of reading- through Genesis to Revelation or by using the topical index. Find the best price on Amazon. 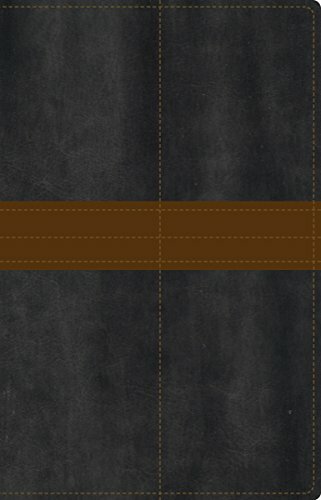 If you’re looking for other options in the best bibles for beginners category, consider this article titled The Best Bibles for Men. “So they said,” Believe on the Lord Jesus Christ and you will be saved, you and your household” from Acts 16:31, a beautiful promise that is really not hard to do. As a mother and a parent, who would not wish for the kids to be saved from darkness? And who would not rejoice with God’s promise? For the moms who want to ensure their household deliverance from sin, reading the bible is a good start. 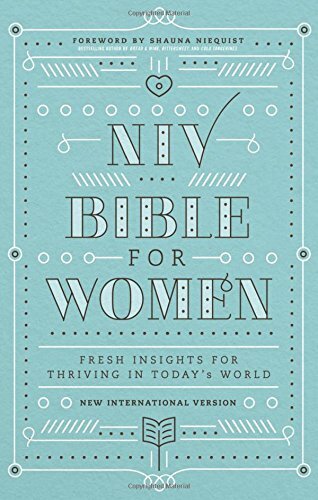 Know more about God and start believing in Him with the help of the Bible for Women: Fresh Insights for Thriving in Today’s World which contains an inspiring foreword by Shauna Niequist and writings from women sharing their personal experiences. This Bible is relevant to every mom who needs help with the struggles, celebrations or whatever they’re facing whether good or bad. God loves everyone and through His word, every mom will be able to feel that support that they need especially in trying times. Find the best price on Amazon. If you’re looking for other options in the best bibles for beginners category, consider these articles titled The Best Bibles for Moms or The Best Bibles for Women. As puberty hits, the teenagers are often disoriented and faced with lots of challenging situations that needs wise decisions. It is vital that during this time or phase in life, these kids are equipped with a good foundation of Christianity to help them make decisions wisely. The parents are there to support them but we are all aware that during this time, teenagers tend to keep everything in their selves that’s why a reliable Bible is very important to guide them. If you’re looking for other options in the best bibles for beginners category, consider this article titled The Best Bibles for Youth. 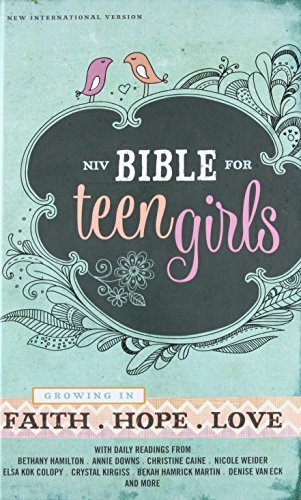 The Bible for Teen Girls: Growing in Faith, Hope and Love is designed specifically for girls ages 13- 18. It includes daily readings from popular Christian female authors, character profiles of women in the Bible, and highlighted promises of God. This bible is perfect for teenagers as is it packed with daily readings, challenging insights, smart advice and open discussion of the realities female teenagers may face. Find the best price on Amazon. The NIV Bible for Teen Guys offers daily readings from popular male authors including the well known Christian writer Max Lucado. 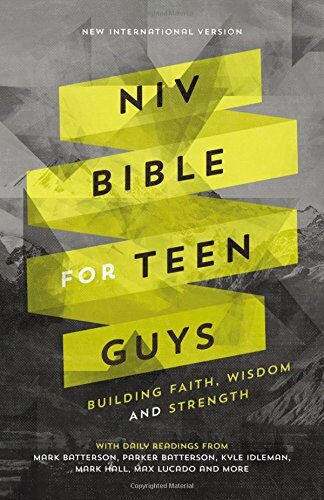 It is perfect for teenagers from ages 13-18 offering highlighted promises of God, insights, readings, character profiles, book introduction of each book of the Bible, and most importantly is the discussion of the usual challenges that male teenagers face. This Bible will help the teenagers discover his will in life including, creating a good relationship with family, dealing with friends, works, sports, girls and many more. Find the best price on Amazon. As the youngest members of the family, the toddlers and smaller kids are really not expected to do a lot in a family. But securing one’s faith the younger they are is better since it is written in Proverbs 22:6 to, “Train up a child in the way he should go, and when he is old, he will not depart from it.” Letting your little one have his or her own Bible will not only introduce Jesus into their lives at an early age, but it will also establish a good spiritual relationship between him and Jesus. 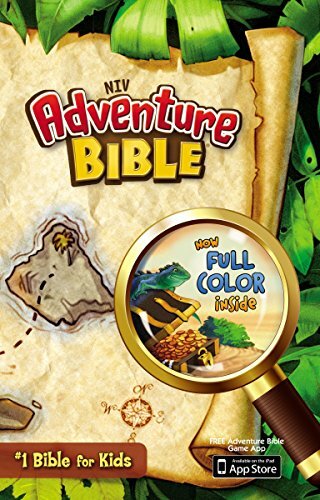 The Adventure Bible is perfect for little ones who are new to reading the Bible. Available in full color that will captivate the attention of your little one. This Bible is perfect for learning kids because verses are highlighted to make it easier to memorize. Articles and illustrations are available to describe what life was during the ancient times, same as with the people of the Bible. To help them understand tricky words, a dictionary is also included in this amazing Bible. Children will definitely love the colored maps that will guide them through important places in the Bible. Find the best price on Amazon. If you’re looking for other options in the best bibles for beginners category, consider this article titled The Best Bibles for Kids. The family that reads together stays together! Remember to spend quality time reading the Bible by yourself and with your family, this will not only strengthen you as a person but will tighten the connection between you and your family. When trying to find the best Bibles for beginners for your family, the choice can be overwhelming. Purchasing any of the beginner’s Bibles above for you and your family will be a great place to start! You may also be interested in the best devotionals for your Bible as part of another series where we focused on the best devotionals for your specific needs.